I hate buying items from certain places sometimes it be yucky!!!!! It’s summertime in Bed-Stuy “Do or Die” Brooklyn, and Kate is feeling down in the dumps. Not only is she tired of her raggedy, tomboy image, but she’s also missing her best friend, Felicia, who’s away for the summer. Lonely and not exactly getting along with her new foster mother, Lynn, Kate so badly wants to be out and about, twirling pretty, and partying—and maybe catching the attention of her longtime crush, Charles. Opportunity knocks one hot summer day when fly-girl Naleejah struts her stuff straight up to Kate and takes a seat. Full of smiles, Naleejah tells Kate that she remembers her from school, but Kate can’t remember ever having such a fabulous chick trying to befriend her. Kate’s suspicion turns to trust once Naleejah gives her a much-needed makeover. Now a brand-new Kate suddenly has the attention of her dream boy. But is Naleejah checking for him, too? Against Kate’s better judgment, she ignores the warning signs, and continues to let Naleejah lead her down a treacherous path. Soon, what seems like a fun and exciting summer ends up being a harsh reality check. Now Kate must decide how to get back on the right track . . . or is it already too late? Kate is devastated to find herself back in a group home after a peaceful year of living with her loving foster parents, Lynn and Ted. The fantasy life of having the perfect family has come to an abrupt end and Kate’s reeling from having to return to the place she’s fought so hard to avoid. Sad and lonely, Kate soon falls prey to the dangerous affections of Percy, a good looking but shady young man. He treats her well at first, manipulating her already broken heart, and soon a cycle of controlling and abusive behavior begins. Now Kate finds herself trapped and unable to be the strong, independent girl she’s tried her whole life to be. But this Brooklyn-born girl is never one to let a bad situation keep her down for too long. Told in Kate’s sassy, witty voice, Bad Boy is all about staying strong and remaining true to yourself even when it seems like the whole world is out to get you. Straitlaced freshman Zooey Cartwright has arrived at UCLA determined to have a heck of a lot more fun in college than she did in high school. What’s the first item on Zooey’s agenda before classes start in two days? Losing her pesky V card. 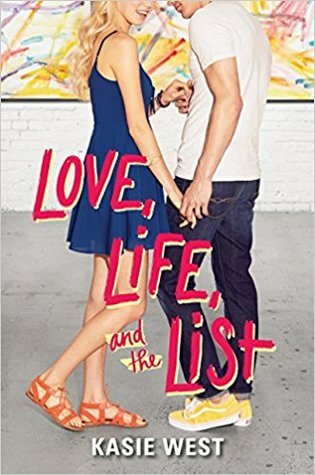 She’s definitely not looking for a boyfriend, so where can Zooey find the right guy to do the deed and move along without a backward glance? At a party thrown by a bunch of football players, of course. Enter Tyler Caldwell. A beast on the field and off, cocky as heck, and often wearing T-shirts with sayings like “God’s Gift to Womankind,” Tyler is most definitely not boyfriend material. After a make-out session with Tyler leaves Zooey entirely unsatisfied, she is determined never to see him again. 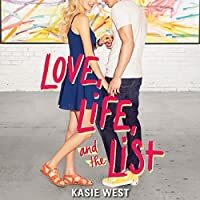 But her schedule lands her in not one but two of his classes, and it doesn’t take long before Tyler and Zooey have reached an arrangement for Tyler to teach Zooey exactly what she wants to know―and a whole lot more she never bargained for. Can Zooey surrender her body to this bad boy without giving him her heart, too? Rayna would do anything for Brady and she has. She’s bailed him out of jail. She’s healed his bruises and picked him up from parties. She’s always been there for him regardless if he had asked or not. But when a potential love interest for Rayna returns to town, their relationship is threatened. Brady has to decide if he’s going to make her his or let her go. And when he tries to do the right thing by both of them, neither could’ve foreseen what secrets their decisions would’ve exposed. Their small town is soon rocked by controversy and in the midst of it, Rayna and Brady try to figure out if they can be together or not. Sam O’Donovan is bored with his stale life in Montana. When his brother-in-law offers him a great job and a cut of the McCray Ranch in Colorado, he’s ecstatic. This is the change he needs. As for beautiful Sydney Buchanan resurfacing? That’s icing on the cake. Sydney’s back for one reason and one reason only. She needs to win as many rodeo purses as she can to help her parents run their struggling ranch in Nevada. She doesn’t bank on running into Sam O’Donovan. All the sparks they shared five years earlier are still there, but so much else has changed. If only Sam could understand the decisions she made during their time apart…and trust her. An Overnight Billionaire… When Carson Frost inherits a confectionary that rakes in billions but is too cash-strapped to last another sixty days, he agrees to take a loan from his late father’s rival. There are two catches: Carson has to sign over a permanent stake in the company, and marry the man’s daughter. Concocts a Fake Bride… Two weeks before the wedding, he gets cold feet and claims he’s in love with someone else. The investor says he’ll still hand over the cash if Carson takes a stroll down the aisle―with the woman who owns his heart. Since he isn’t even dating anyone, Carson panics. Where is he going to find a bride willing to jilt him at the altar on such short notice? Misadventures of the First Daughter by Meredith Wild and Mia Michelle. Look what I got today on my birthday 🎂 🎁 🍰 🤪😜 I hope to have all of these soon! Zane Parker has one job―to protect the President’s daughter, all day, every day. But she’s been on a partying spree since the inauguration, heading down a dangerous path that threatens to ruin her reputation and cause a major scandal for her father. Zane will lose his job if he can’t get her under control. Except he wants to sleep with her as badly as he wants to set her straight. She needs discipline. And he might be just the one to give it to her. I kind of figure Cooper probably liked Abby in the end. He just didn’t want to admit to his feelings for her until she told him off and stopped dealing with him for a couple of weeks after she seen him with Iris when he was supposed to be at her art show. That I wouldn’t blame her for because you get rid of your feelings for someone that you have a love for a long time and played it off just for them, just to not lose a friendship, and that she did. When he realized she wouldn’t come back, he sent her a coupon in the mail with the place she said would be a perfect date. Then he saw her with Elliot, and he got jealous which he should’ve been jealous because he already knew about how she felt though she played it off. In the end, he still acted like she was joking, but he didn’t want to admit to his own feeling because he was afraid. I was glad that he finally told her how he felt in the end and got rid of that girl Iris. Btw: This book wasn’t all that but it did get good once I got to character twenty. Lmao! But I heard of this particular thing I forgot what it’s called! 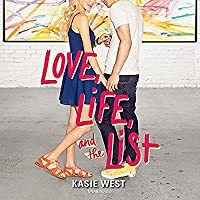 But as the deadline approaches, Abby realizes that getting through the list isn’t as straightforward as it seems… and that maybe—just maybe—she can’t change her art if she isn’t first willing to change herself.